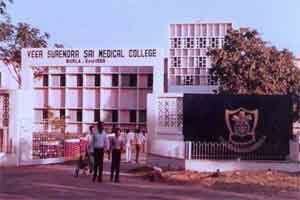 Junior doctors of Veer Surendra Sai Institute of Medical Sciences and Research (VIMSAR), Burla in Odisha threatened to resume their agitation from April 1 to press for their 9-point charter of demands including installation of MRI machine and financial and other poewrs to the institute. “Junior doctors had been assured that of the nine demands, eight will be fulfilled by February 28. So far only one demand has been met,” president of Junior Doctors’ Association (JDA) of VIMSAR, Shankar Ramchandani told reporters. JDA’s demands include installation of Magnetic Resonance Imaging (MRI) machine at the health centre, delegation of financial and administrative powers to VIMSAR authority, shifting of female medicine ward to a new building, strengthening security on the premises, uninterrupted water and power supply to operation theatre, labour room, SNCU, ICU, medicine wards and hostels of VIMSAR, increase in library fund and staffs, filling up of vacant teaching and non-teaching posts and steps to make the Regional Diagnostic Centre functional round the clock. The state Health Secretary had discussed with JDA on its demands and assured that while the MRI machine would be installed by March 31, the other demands would be met by February 28, said Ramchandani. However, so far they have fulfilled only one demand and shifted the female medicine ward, while three demands have been met partially, he said. JDA wants the Government to fulfil all its demands by March 31. If they fail to fulfil the demands, medics would resort to agitation from April 1, said Ramchandani. Earlier, the JDA, which had launched a cease work to press their demands on January 12, suspended their stir on January 21 following a discussion with the Health minister. Health Secretary Arti Ahuja and others had also held talks with the JDA over their demands.